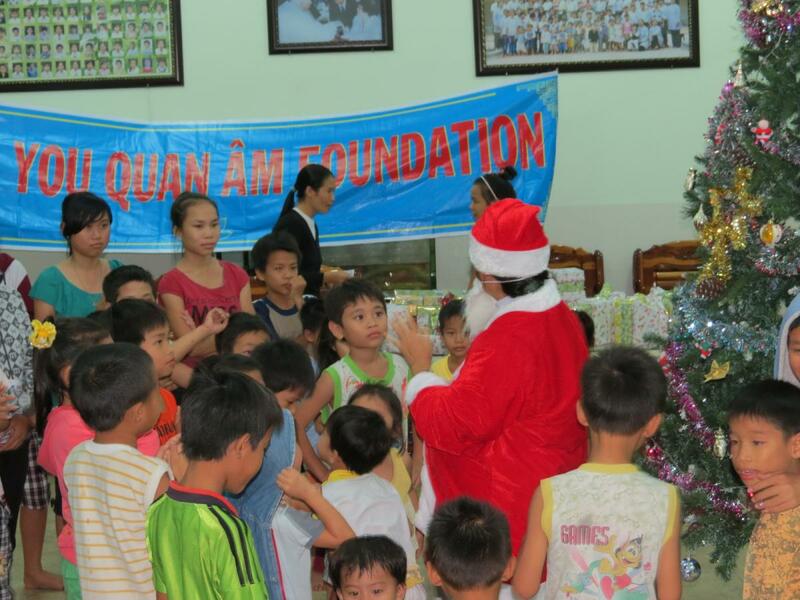 The Quan Am Foundation brought Christmas presents to the Mai Am Nhan Ai Orphanage. 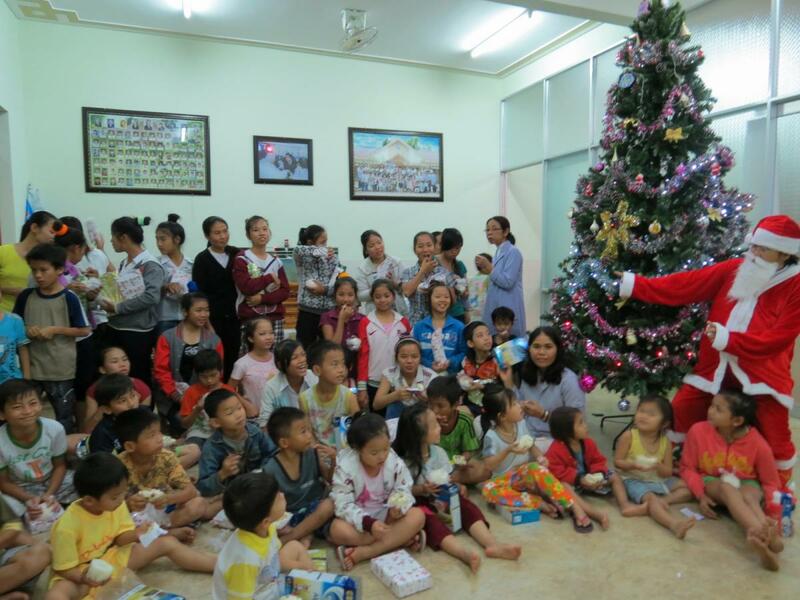 This was the last of Santa’s visits made possible by Lucette Dillon of New Zealand, who once again brought the generosity and kindness of her foundation to the children of Vietnam. As mentioned in 2 previous posts, she had already made wonderful visits to the Loc Tho Charity School and the Mai Am Anh Dao Orphanage earlier this year. Lucette had raised money from kindhearted donors in New Zealand, and contacted us last month about doing something special for the holiday season. We leapt into action, and our team in Nha Trang outdid themselves once again. Lucette agreed to buy Christmas presents for every one of the organizations that we assist, including all orphanages, charity schools, and homes for children. Our team contacted each place and got an accurate head count of both boys and girls, and went about packaging special gift bags for each child. 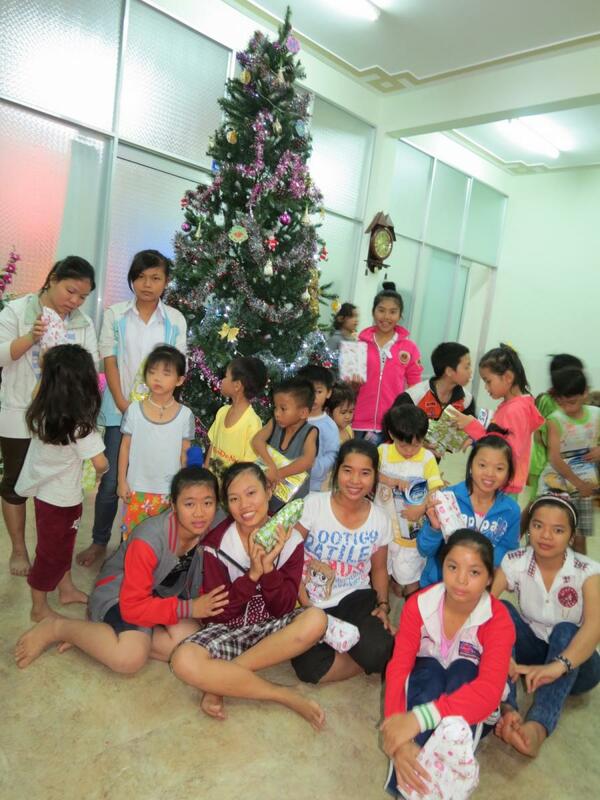 At present, we assist 10 needy places near Nha Trang, with about 500 children being cared for by the nuns that run them. 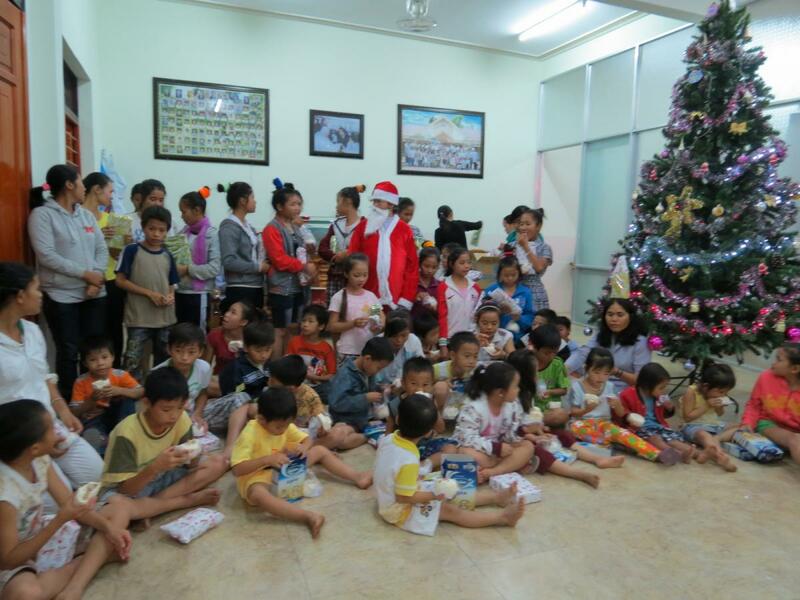 The nuns at Nhan Ai got a volunteer to dress up as Santa, and on December 25, 2012, handed out Christmas presents to every single child at the orphanage. The children loved seeing Santa! Our team was led by Ngoc, Loan, and Nhan, who organized everything and made all of the visits a huge success. 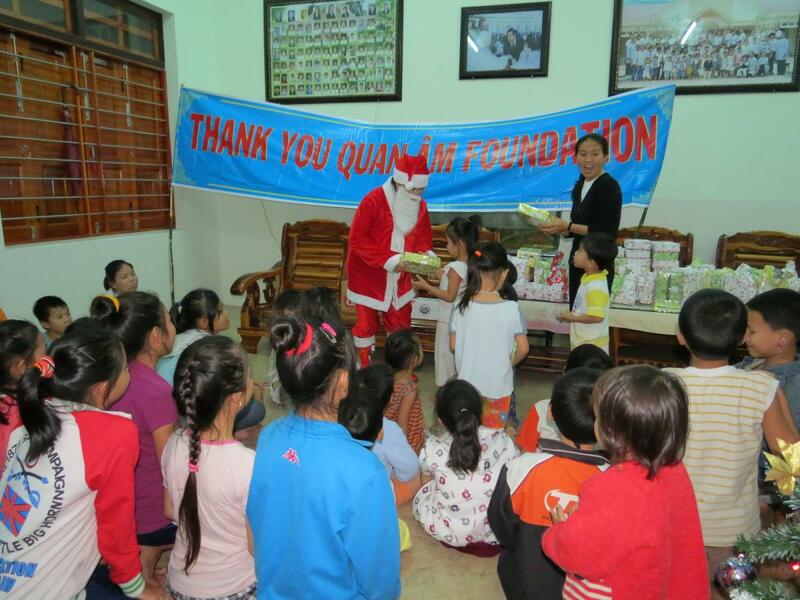 This was the third of three visits made possible by the Quan Am Foundation, and you can read about the other visits in our other posts. Thank you Lucette and everyone who donated to her amazing cause! Visit their website here: http://www.quanamfoundation.org/.